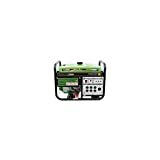 Lifan LF8500iEPL, 8500 Watt Platinum Series Generator with 15HP 420cc OHV Industrial Grade Gasoline Engine, Electric Start, GFCI, Idle Control was listed on Amazon for $1,899.00, selling for $1,199.00 USD brand new. Manufactured by Lifan Power USA. There are 3 units left brand new. Cutting edge t low otal harmonic distortion (THD) system provides clean power for sensitive equipment like TV’s. Lifan Power USA prides itself in standing behind all Lifan products with a industry leading 3 Year Limited Warranty and offers the highest level of service and support with a complete parts and service network. All Lifan generator products are made with Lifan Horizontal Shaft OHV engines which feature Industrial duty upgrades like cast iron sleeves, automotive grade rods, pistons, rings, crankshafts, valve and valve springs. The Lifan OHV design provides better fuel efficiency, quieter operation, and longer life. The rental duty Platinum Series is ideal if looking for maximum performance and constant usage. Low total harmonic distortion (THD) systems provide inverter or line power quality with less than 5% distortion, even better than the average utility company will provide your home or shop. These units will provide the “Clean Power” you need to protect your tools and equipment that are equipped with digital control panels, computer chips, or other sensitive components. 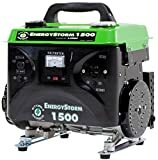 Also great for emergency power or recreational power when you want to run your computers, LCD or plasma televisions, and any audio and/or video equipment. With more equipment using computer chips for features like soft start and electronic speed control, it makes sense to protect your investments with a low THD power supply. This 8500W unit also includes premium features like foam filled 10-in tires, keyless electric start system, GFCI protection, idle control, a heavy duty panel, a VFT meter to monitor usage, 6-point engine/alternator isolation for less vibration, and an automatic voltage regulator (AVR) to protect tools/equipment from damage. EPA approved.